This month is a positive one for robo-advisors. 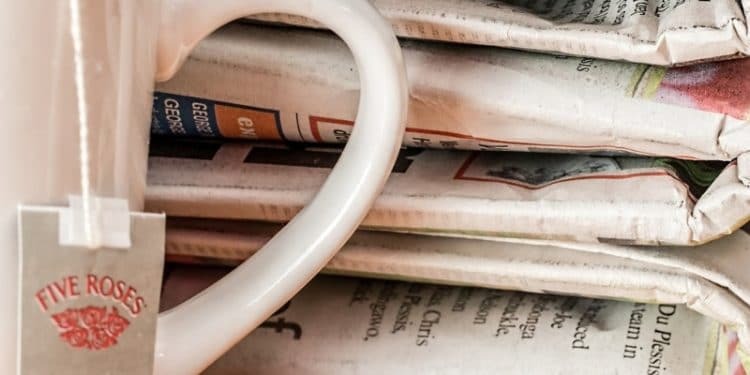 While there are always ebbs and flows in this fintech market, our news sources have focused on the ability of robo-advisors to adapt and grow in response to the needs of investors. Wealthfront in particular gets a lot of attention this month; the robo-advisor has added to its financial offerings, making it an even more solid choice for investors looking for a robo with a reasonable minimum investment amount and low fees. While it’s true that we’ve been touting the benefits of robo-advisors for years now, those benefits have changed. Like any other technology, robos are adaptable and shift offerings in order to better meet the ever changing needs of investors. This is one of the reasons we feel confident that robo-advisors are going to be around for the long haul! Examples of robo-advisors developing new ways to serve clients include Betterment’s Smart Saver option and the myriad of robos that now combine human financial professions with the powers of technology. 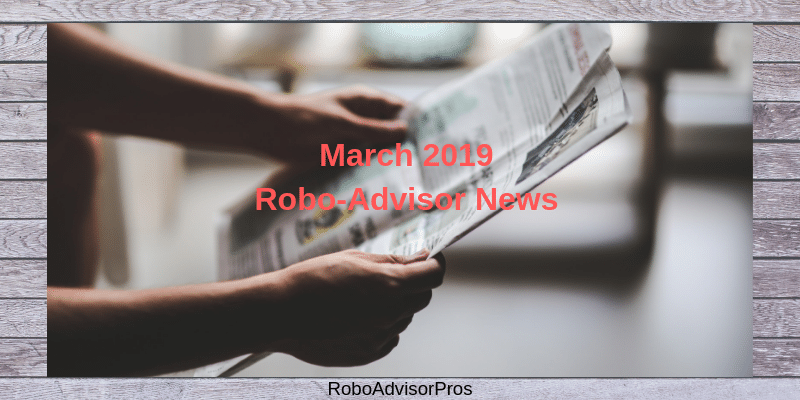 Debbie Carlson’s article this month made the argument that financial professionals who use robo-advisors in connection with their own services can be more creative in their offerings and are potentially more efficient overall. In addition, Barbara Friedberg sees robo-advisors changing in five crucial ways this year which will only make them more appealing than traditional investing routes. Some of these changes include more socially responsible investment options, attention to niche investing opportunities, and additional financial services offerings, such as loans. Some more good news for robo-advisors: research from Spectrem Group demonstrates that robo-advisors are only gaining in popularity. In particular, investors are gravitating toward hybrid robos which combine humans and technology in one powerful package. Which is the Best Robo-Advisor? The Robo Ranking looked at many different factors, from transparency to extra features. What might be interesting to note is that Fidelity Go does not offer tax-loss harvesting or human advisors—something that might, on the surface, seem to push it out of the top few spots. In the long run, however, investment return is one of the most important factors in gauging the success of a robo-advisor. Wealthfront had a lot of positive press this month, helped by its addition of a new cash account to its financial offerings. The robo-advisor’s interest rate was 2.24% for these accounts as of February 14, 2019, making it a lucrative offering for people who want to keep cash easily accessible. Tax-loss harvesting is a big draw for robo-advisor investors. This month, Wealthfront shared how their tax-loss harvesting strategy works. When investors take advantage of this strategy over time, the financial growth compounds! “Dan Egan, director of behavioral finance and investing for Betterment, a robo advisor, says robos could more efficiently handle the ‘low-hanging fruit’ services that advisors were providing previously, such as creating simple financial plans that outlined how much people needed to save, what type of individual retirement account to use or how to optimize taxes. “Fidelity Go, the digital advice platform of Fidelity Investments, is the single best robo-advisor among a group of 13 that have been in business for at least two years, according to The Robo Ranking, published by Backend Benchmarking. Read; Best Robo-Advisor Performance 2019, for another take on evaluating these fintech darlings. “For every article about automated investment technology, there’s an adviser who gets the urge to let everyone know exactly what he thinks about these newfangled robo-advisers (a term created by the brokerage industry to draw a derogatory connection between startups and the hated telemarketers known as robo-callers) and how his clients would never trust their money to a computer. 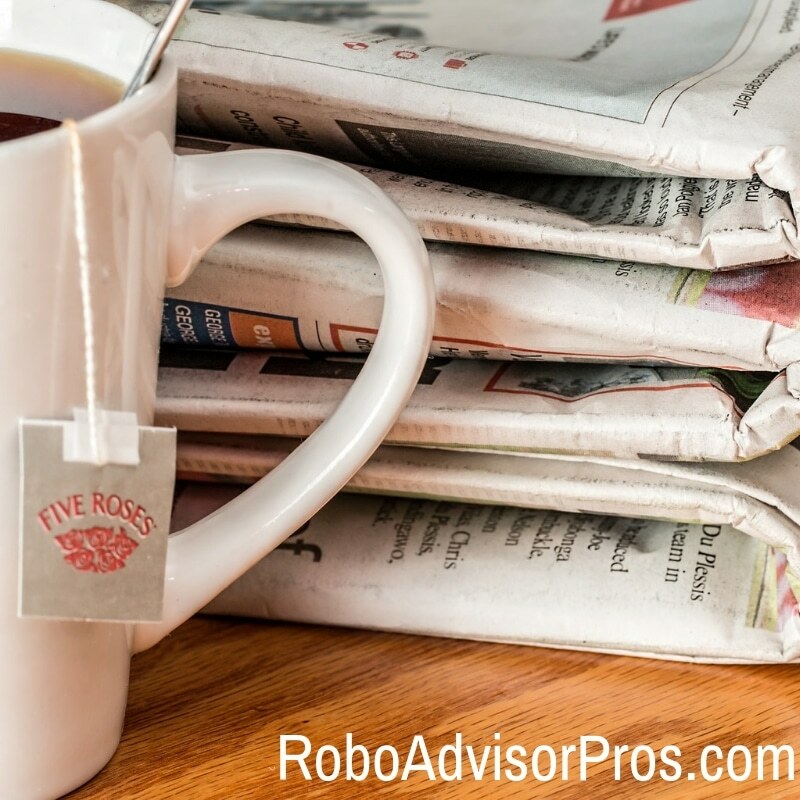 “A new Spectrem Group study reveals increasing use of Robo-advisors across all classes of investors, as technology-based advisory services continue to grow in popularity following more than a decade of use. It also identifies ways investors are utilizing both Robo-advisors and their human counterparts in tandem to achieve superior returns while managing risk. “5 Ways Robo-Advisors Will Change in 2019” by Barbara Friedberg at U.S. News. “As the industry and market has expanded, the features, services and investment styles of robo advisors has multiplied. From hybrid models with digital and financial advisors to app-based investing, the industry is almost unrecognizable today from its former iteration. “Wealthfront Launches Cash Account With 2.24% Interest Rate and FDIC Insurance up to $1 Million” at PR Newswire. “Wealthfront shared data on how its tax-loss harvesting technology worked in 2018, providing a window into how the robo-advisor’s automatic tax-loss harvesting technology helped investors. If you’re interested in organizing your financial life, check out my favorite FREE tool. Only a few minutes to sign up and investment, money, reports and financial dashboard are at your fingertips.